When you get so much interest for something, you just can't ignore it. "Can you convert QuickBooks data?" "I want to switch from QuickBooks but don't want to lose my info." "Is it affordable to move to NolaPro from QuickBooks?" So we decided to do something about it. Now, after a long period of development and rigorous testing, the QuickBooks Converter is available. What does it do? This utility allows you to import data from QuickBooks quickly and easily. You are virtually assured of a transparent conversion to the free software with your crucial data fully intact. There are two different methods for importing your data. We recommend trying Option 1 first. 1. Order below and an authorization code will be sent to you via email (see bottom of page for instructions to apply your code). 2. 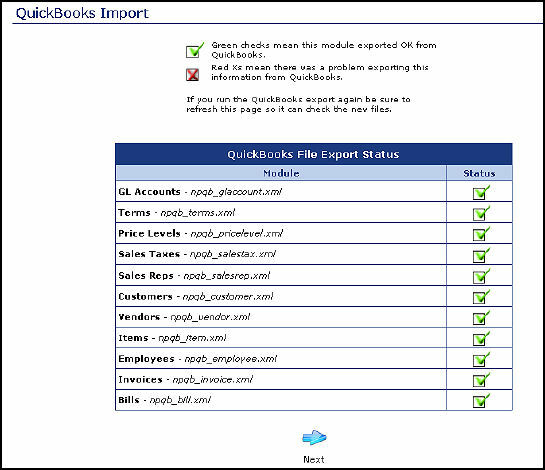 Upload a QuickBooks file (.qbw) at Tools -> Imports -> Import QuickBooks Files and we'll get the data ready for you to bring into NolaPro automatically. Download the instruction guide for Option 1 for information on bringing your data into NolaPro. Note: NolaPro must be installed on the Windows machine that is also running QuickBooks. If you have a hosted site, the data can then be uploaded to it. Contact support with any questions. 3. Follow the instruction guide and run the program.